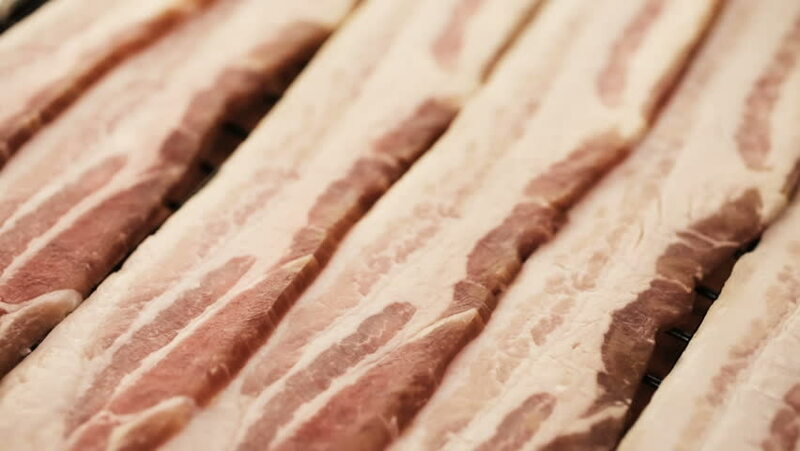 Raw bacon strips on a baking sheet. hd00:22Prepare the whole goose carcass at roasting. The process of rubbing with salt and spices.